Following the instructions given by a committee setup by human resource development (HRD) ministry, UGC has proposed few rules to maintain standard in distance learning. HRD ministry had told UGC to set up an interim regulator and monitor the country’s distance education sector. The committee has also proposed the establishment of a distance education council of India (DECI), which will monitor and regulate the content, examination and the institutes offering distance education. 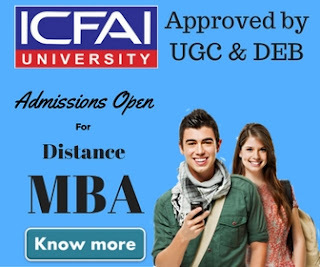 Currently Indra Gandhi National Open University, State Open Universities and Some Private Institutions are offering distance learning courses in India. All these universities together contributes to 22 per cent of the country’s gross enrollment ratio (GER). As we're all aware these universities has always seen lots of criticism because of out dated curriculum. This will a good step to improve the standard of distance education courses. Now after this these universities & institutions will take it serious to update their curriculum frequently & maintain standards. UGC recently issued a draft to distance & open learning institutions and awaiting comments from their stakeholders. After their response the decision will be made. According to the draft shared with open & distance learning institutions only higher education institutions with a minimum 10 years of classroom teaching experience will be allowed to provide open and distance courses. Standalone institutions will not be allowed to run open & distance learning courses. Here is a good news for standalone institutions who already running distance education courses, these education will continue offering education. UGC will have the power to inspect institutions infrastructure & facilities offering distance learning courses. Now to open a learning center outside the jurisdiction of the parent institution will not be so easy. Now the parent institution has to take the permission from the state where the university wants to open a distance learning center. 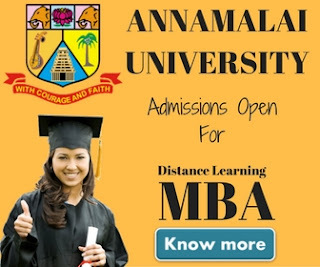 We've seen many Deemed universities are offering distance education courses on standalone basis. As per the draft Deemed universities will not be allowed distance learning courses on standalone basis. internal quality assurance centre will assess distance education courses every year. In every three years an independent third-party audits will have to be mad and distance learning courses will be assessed and accredited through an authorised body once in five years. Permission to run the programmes will need to be granted every five years. Now all universities offering open & distance learning courses has to declare publicly about the courses & facilities. If UGC will find any wrong commitment from institution or any institution fail to maintain the set standard, may withdraw permission to run such courses. We really appreciate this step. With this step we can really improve the distance education system in our country. We can expect more enrollment in distance education courses in future. Let's wait for the final decision but we can only say whatever will be the decision, we're sure it will be beneficial for all of us.